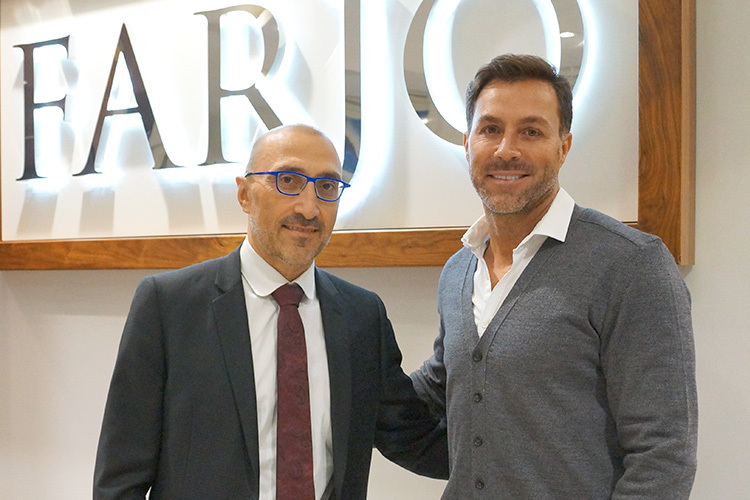 Back in 2017, we treated former footballer and Real Housewives of Cheshire star Ashley Ward at the Farjo clinic. Ashley, who formerly played for Barnsley, Norwich City and Blackburn Rovers, underwent an FUE hair transplant. Although people told Ashley that they didn’t think he needed a hair transplant, he struggled with his receding hairline and longed for a more youthful look. Encouraged by his wife, Real Housewives of Cheshire’s Dawn Ward, who believed that the surgery would boost his confidence, Ashley took the plunge and booked into the clinic. After a consultation to advise the best course of treatment, Ashley underwent a FUE transplant using the ARTAS system, which involved 2,000 grafts of hair being microscopically harvested by the robotic software, before being transplanted to the recipient areas of the scalp. A month later, the transplant was followed up with PRP treatment, where platelet-rich blood plasma is taken from a sample of a patient’s blood and re-injected into the scalp. The treatment encourages recovery and stimulates hair growth, so it can be used in tandem with a transplant or as a treatment on its own. Recently, Ashley appeared on ITV’s Good Morning Britain, alongside comedian Mike McClean, debating whether or not men should embrace going bald. Although Mike is happy with his natural look, Ashley discussed the positive effect that undergoing a hair transplant had on his self-confidence. Hair transplants used to seen as a taboo subject, but Ashley praised celebrities such as Wayne Rooney who have been vocal about their experiences of hair transplants, helping to break down the attached stigma. Ashley mentioned that he feels as if men are more reluctant to admit that they’re struggling with their self-confidence and want to take steps to change their appearance, but hopes that the increasing number of high-profile figures speaking out will change that. Ashley is thrilled with the results of his transplant, making sure to mention it was the amazing work of Dr Bessam Farjo! If you’ve been struggling with hair loss, you don’t need to suffer in silence. Book in for a free consultation to find out what we can do for you.